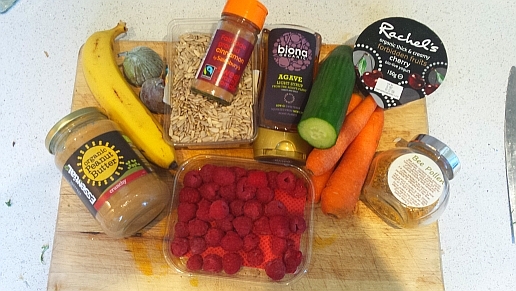 A super nutritious smoothie combining fruits, vegetables, nuts and seeds. The bee pollen is a great addition as it often helps boost your resistance to hay fever whilst the nuts and seeds add protein & good calories. Using natural sweeteners such as agave, you also stave off those peaks and troughs that refines sugars often throw at us. Mix all the ingredients in a blender and put on full speed for about 45 seconds or until all ingredients are liquidised.